Sunspark Try updating it to Pie. Hope no anti downgrade protection rears it's ugly head. Yes I'll give it some time. Last night I used the device in bed when it's dark for about 30 mins. When I closed my eyes, I could see this flickering (as if someone was turning the lights on and off). Makes me think this might be neurological? This continued for a few minutes. Going to maybe try Skinomi Matte protector. I also turned on the blue light filter. I don't think the G7 has Pie yet, it's running 8.0.0 right now. degen "- Lensing/Glass effect: In some phones, such as the LG G4, Samsung S6 Edge, or Sony XPeria Z3, as well as the HTC Desire 612 and the iPhone 6... the screen is "lensed" in order to make it "pop". This lensing effect induces IMMEDIATE eyestrain for me regardless of settings, filters, etc." @Gurm Any idea how to find out if this is also on the LG G7? I wonder if this is causing my eystrain. Wonder if a matte screen protector will help. Do you know of any more technical term for this to research? I am talking to other people who have this problem. Most of them have told me they got used to their devices after a few weeks of eyestrain/headache. CCitrine do you still use essential phone? Think I might wind up returning the LG g7. Giving me eyestrain still and causing these random muscle twitches after using!! Does anyone have any theories why LG G7 and HTC 10 are intolerable but essential phone is? It's completely baffling. ryans Does anyone have any theories why LG G7 and HTC 10 are intolerable but essential phone is? I looked at their PWM results, and they all have different kinds of display flicker. Maybe that is a theory, but it could be anything. Including the mysterious Android eye strain that some ROMs have while others don't on the very same device. Do we know that the Essential phone works? Or only with the Paranoid Android ROM? Gurm Well, CCitrine reported it (Essential Phone) is usable, but Sunspark says it was not usable for him. Probably different issues affect them (their original posts linked in my tag). Did you ever get your functional vision checked (eye teaming, etc), Gurm ? I don't think Sunspark tried the Paranoid Android ROM? I still don't know why Paranoid ROM is okay but nothing else is. ryans If I had to guess? Whatever display/rendering layer Paranoid uses is better than the stock one. I know that the composition layer is what breaks Win10. I think the only one talking about how Paranoid Android made a device usable in this thread was me, and the phone is the OnePlus 3. I believe the most likely theory so far is this ROM, like early manufacturer's ROMs, leaves the default color profile untouched, so no temporal dithering kicks in. I'm not claiming this would work for other devices. randomboolean yeah I'm not convinced eink is the solution. I'm not a fan of the eink side of this phone. Soreeyes Have you found any recent found that's usable? The Red and Green components, has bigger intensity on XS than the X. Also the blue component is slighty narrow, but just slightly. Less on the left side. Supposly the worst side. Markus How much brightness do you tolerate on the HTC 10? On my old HTC one (m7), i could use it only on low brightness. A work colleague of mine who has troubles with monitor displays, always use Flux agressively. His smartphone is Xiaomi is Xiaomi A2, in the low brightness region. He find it confortable. It has similar contrast and brightness values has HTC 10. 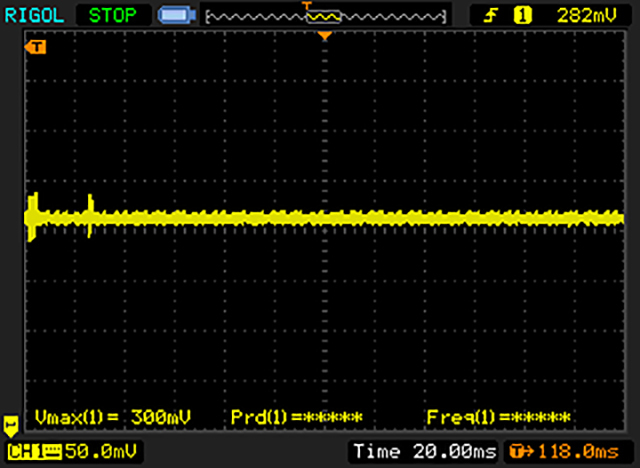 It has PWM, but just below 20%. Interesting enough. This phone is the same panel than the Xiaomi A2, which my work colleague find ok.
tfouto "LTPS IPS LCD capacitive touchscreen" --> this is pretty generic and it not a specific panel, right? degen The thing is PWM which is sinusoidal. Much better to the eyes, brain than the digital PWM. oxlr I had an M7 which was perfect to my eyes. I had a problem with GPS, then it was sent to repair. For some reason they change the display. The display was much color saturated, and colder white balance. It was horrible, to my eyes. The worst display i saw in life. I sent it back to HTC and said i want my LCD back. They change it, not for the old, but a similar one. It was OK again. The phone its pretty unusable. I bought the Xperia XZ 2 on black friday. It's an amazing phone, but not eye friendly. My eyes sore. I will try a few day longer and see if i can manage, but i dont think it will possible. The curious thing is that if i only look at it with the left eye, i can use it way more. My right eye is more sensible, maybe. Or is a binocular problem. Have to check my eyes on a doctor. ryans LTPS IPS LCD is a technology, different from others. I was playing with some 3d cinema glasses. Some really cheap ones. One they gave me once i was seeing a 3D movie. I tried on my Sony XZ 2 (eye-strain phone) and discovered that the left lens has a different effect then the right one. When i rotate the lens on the phone it seems it goes on all spectrum. Maybe the phone polarization makes this. The violet and blue part are really strong, and green and red are not percitible, instead it's more yellow. 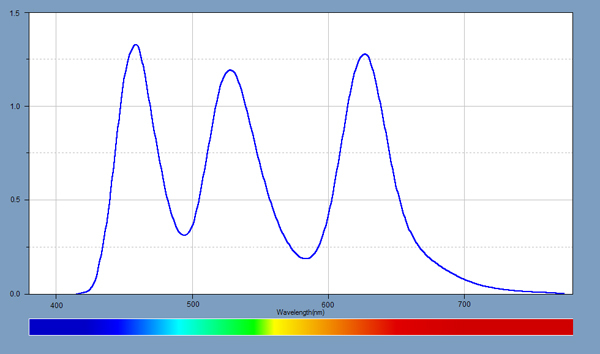 Maybe the spectrum is like the blue white led, and the blue spectrum is really strong. Or it might be that the phone just polarizes blue spectrum differently than green and red, maybe the coating on glass/polarizer, changes the way red and green works. When i look to from my glasses to Sony, it seems to me that the more accute pain is when i am on the violet/blue part. I feel pain and my leg twiching. That's one of the neurological effects that i suspect blue light is triggering. On my old HTC one, the polarization is different, so the it changes from a subtle blue to subtle warm, and in a certain angle it becomes color spiral intense. And it's the same on both lenses. Right and left. I will try to go to shopping and go play with those glasses and phones, and check if i can discovere anything. I will try to understand if other phones like the iphone XS has the red and green component so strong has the blue on Sony. If it's polorized on the same way. Maybe those glasses just polarize the blue spectrum more intense, i dont know.